On October 7th, 2018. 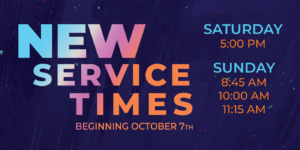 Cornerstone Church will be adding a third worship service at 11:15 a.m. This will affect existing service times.